Justine is an Associate Professor in the School of Integrative plant Science at Cornell University. Her research program focuses on how environmental and viticultural factors impact wine style and quality, soil health, vine growth, and fruit composition. 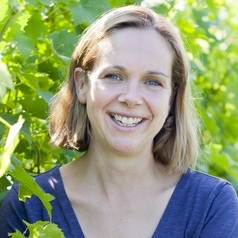 Her research has been published in the American Journal of Enology and Viticulture, the Australian Journal of Grape and Wine Research, HortScience, and HortTechnology. Justine is active in teaching and mentoring in the undergraduate Viticulture & Enology program at Cornell where she teaches three courses: Wines & Vines, Grapes to Wines, and Wine Culture. She enjoys collaborating with the grape and wine industry in the United States and around the world.